Home News POLICE ARREST 6 YAHOO BOYS WITH 200 FEMALE PANTS IN DELTA STATE, SAYS THEY WORK WITH NATIVE DOCTORS IN IJEBU-ODE. 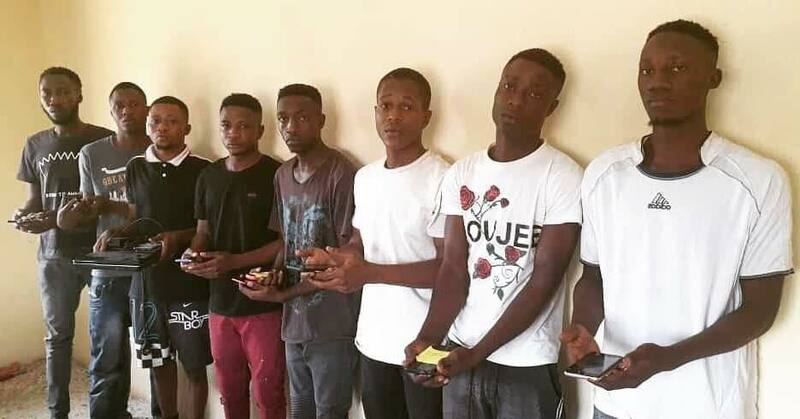 POLICE ARREST 6 YAHOO BOYS WITH 200 FEMALE PANTS IN DELTA STATE, SAYS THEY WORK WITH NATIVE DOCTORS IN IJEBU-ODE. The Nigerian Police division in Okpanam community, Delta State has arrested six suspected ritualists with 200 female pants in the area. “The suspects were arrested upon intelligence gathered by the police detectives in the bush of Okpanam community where they allegedly packaged the underwears into a sack and were about moving out of the area.